At ORÍKÌ, we believe beauty & wellness go hand-in-hand, therefore our commitment is to provide relaxation & stress relief as well as the finest treatments for the face and body. The ORÍKÌ Spa is an absolute sensory experience dedicated to pampering both body and soul in the most natural way possible. Application of the knowledge of the therapist is made by using a wide range of ORIKI natural Spa products. 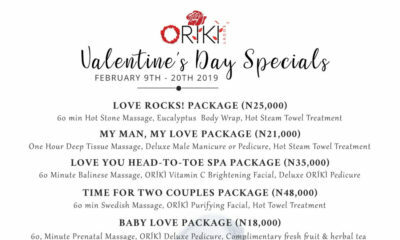 Here is a list of ORÍKÌ Spa Valentine’s Packages. 1. Make a grand gesture this valentine’s day by sweeping your one and only off their feet with the ‘SOMEONE SPECIAL’ valentine package. 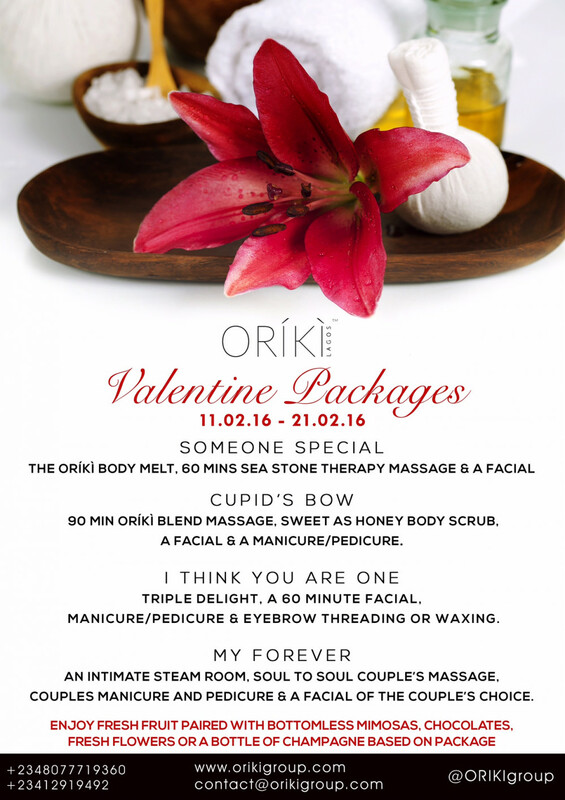 Someone Special – The ORÍKÌ Body Melt, 60 min Sea Stone Therapy Massage & a facial of her/his choice. Enjoy an unlimited serving of mimosas paired with fresh fruits as you receive this body melt experience. 2. There is nothing on this earth more to be prized than true love and our ‘CUPIDS BOW’ valentine’s package is a true testament to this. Cupid ’s bow – 90 min ORÍKÌ Blend Massage, Sweet as honey body scrub, a Facial of her/his choice & a Manicure/Pedicure. Enjoy a fresh bouquet of flowers with an unlimited serving of mimosas paired with fresh fruits. Leave a customized note for your loved one to seal the deal. 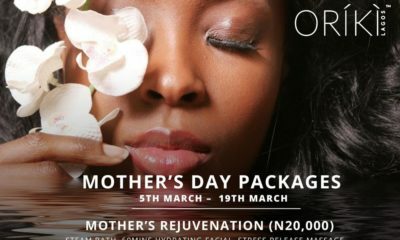 I think you are the one – Triple Delight, a 60 minute Facial of her/his Choice, Manicure/Pedicure & Eyebrow Threading or waxing. Enjoy a fresh bouquet of flowers along with a box of variety of chocolates, paired with an unlimited serving of mimosas and fresh fruits as you receive this luxury pampering. My Forever – An Intimate Steam Room, Soul to Soul Couples Massage, Couples Manicure and Pedicure & a facial of the couple’s choice. Enjoy a bottle of champagne paired with fresh fruits and a box of a variety of chocolates as you experience a full body ORÍKÌ treatment. 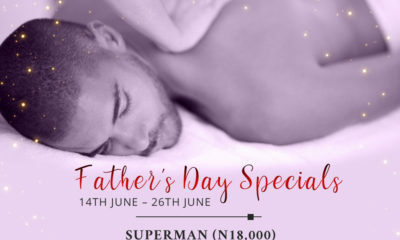 Call us on +234 1291 9492, +234 807 771 9360 or Email us at [email protected] to book one of these exclusive love filled packages now. NB: This Promo runs from Thursday Feb 11th – Sunday February 21st…… Now there is no excuse not to spoil your loved one this season. Good Morning, the prices can be sent via email or when you call. Prices aren’t listed because they are customized. Thank you!